Xiangqun Chang has been involved in editorial work since 1985 when she was a postgraduate student in China. She has acted in different editorial roles, such as editor or managing editor, for journals (including acting as a peer reviewer), co-editor for conference proceedings, member of editorial boards, or co-editor-in-chief for book series, and web master of CCPN website, etc. Since 2014 she became Chief Editor at the Global China Press (UK). 1985-86 Editor, the Journal of Postgraduates, Northeast Normal University, Changchun, PRC, e.g. edited papers for 'Women's studies' column, Nos 1-2. Forthcoming with S. Feuchtwang. Renqing: Human Relations in Rural China (this is based on papers presented at the end of project conference, Rural Social Support Arrangements and the Transformation of Local Traditions in China, funded by ESRC, at City University, London, July, 1993. This volume had been considered to be published by the UCP in 1995, but some contributors were unable to complete their papers in time for publication. All the papers will be updated after revisiting the 10 villages. Forthcoming with Lixing Chen. How do Migrants from the BRICS Countries Participate in Shaping the Global Society? selected papers from the BRICs migrant project, will be published by Global China Press. 2016 with S. Feuchtwang, D. Zhou. Globalization of Chinese social science - Commemorating the 105th Anniversary of Professor Fei Xiaotong's Birth Vol. 2, (in Chinese). London: Global China Press; Beijing: New World Press. 2016 with S. Feuchtwang, D. Zhou. Globalization of Chinese social science - Commemorating the 105th Anniversary of Professor Fei Xiaotong's Birth Vol. 2 (in English), London: Global China Press; Beijing: New World Press. 2016. With Costanza Pernigott.Transculturality and New Global Governance Global China Dialogue Proceedings Series Vol.1 (in Chinese), London: Global China Press; Beijing: New World Press. 2016. With Costanza Pernigott.Transculturality and New Global Governance Global China Dialogue Proceedings Series Vol.1 (in English), London: Global China Press; Beijing: New World Press. 2015 with S. Feuchtwang, D. Zhou. Globalization of Chinese social science - Commemorating the 105th Anniversary of Professor Fei Xiaotong's Birth, Vol. 1, (in Chinese), London: Global China Press; Beijing: New World Press. 2015 with S. Feuchtwang, D. Zhou. Globalization of Chinese social science - Commemorating the 105th Anniversary of Professor Fei Xiaotong's Birth, Vol. 1, (in English), London: Global China Press; Beijing: New World Press. 2015. Society building -- A China Model of Social Development (English version, revised edition), London: Global china Press; Beijing: New World Press. 2015 Society building -- A China Model of Social Development (Chinese version, revised edition), London: Global China Press; Beijing: New World Press. 2014 Society building -- A China Model of Social Development (English version), selected papers from the IFCCS5. Newcastle: Cambridge Scholars Publishing. 2014 Society building -- A China Model of Social Development (Chinese version), selected papers from the IFCCS5. Tran. XU Haiyan et al. London: Global China Press. 1.Chinese Concepts - This consists of two parts: native Chinese concepts and exciting concepts from a Chinese perspective. For the latter, every concept is required to have a review section on related contents based on studies of non-Chinese society in order to form a contrast with the ‘Chinese perspective, e.g. Society building - a China model of social development. 2.Chinese Discourse - Based on Chinese social scientific material and systematic documentation of Chinese usage patterns and methodological innovations, this book series will focus on fields of society, culture, social interaction, communication, etc. from sociolinguistic, comparative and functionalist perspectives, discourse and conversation analysis, corpus linguistics, cognitive linguistics and typological studies. It will explore interactive mechanisms between Chinese discourse and related global discourse, e.g. 3.Chinese Academy - In the framework of global human knowledge, a comprehensive and systematic review of Chinese academic achievements at home and abroad over a hundred years. It will be divided into three sections: disciplines (social sciences, natural sciences, humanities), countries and regions (country and area studies), and interdisciplinary research themes, e.g. 20 topics from the list proposed by China in Comparative Perspective. 4.Chinese Thoughts - Each of the books is required to focus on a topic that non-Chinese social scientists or scholars have not covered, in order to present a contrast between Chinese and non-Chinese thinking. 5.Chinese Experiences - Selected work from our Global China Forum will be published in this book series, which stresses the experiences of China's modernization from a comparative perspective. 6.China Studies - This book series was published in the 1980s by New World Press. It is the first such book series by Chinese scholars in English. It will be re-published jointly by New World Press and Global China Press. 7.China Urbanization Studies - This book series will select the best work on China urbanization from inside and outside China. It includes Chinese and non-Chinese perspectives, empirical and policy-oriented studies, as well as macroscopic and microscopic research. 8.Understanding China and the World, e.g. How do migrants from the BRICS countries participate in shaping the global society? 9.Chinese for Social Sciences - Understanding China and the world comprehensively from Chinese and non-Chinese perspectives, putting China in the context of globalization, or forming a contract between China and world - a branch of 'Chinese for Specific Purposes' (CSP), like 'Chinese for science and technology' or 'business Chinese'. It includes the following themes: intermediate level reading, advanced level reading, analysis of difficult sentences, either in English-Chinese translation or in Chinese-English translation, dictionaries of dialect/loan words in English and glossaries in social sciences. 10.Global China Forum - This book series is collected work from each of the Global China Dialogue/Forums, organized by CCPN Global and YES (The Young Entrepreneur Society). It will be published collaboratively between Global China Press and New World Press in multilingual editions. 11.Chinese Overseas Ethnographic Studies - This book series is written in Chinese, edited by Gao Bingzhong and published by Peking University Press. 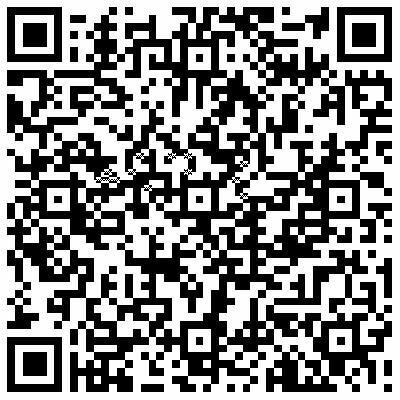 Global China Press is organizing for it to be translated and published in English. 12.‘Three Eyes' Perspectives - Authors are either mainland Chinese or Overseas Chinese, with three dimensions or perspectives (three eyes) – time, space and place – with which to examine comparatively themselves or China or the countries in which they live. 2014 - Web Editor of the Global China Press, the first company in the world that publishes social scientific work on China in both English and Chinese. 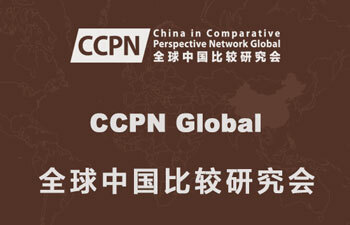 2013 - Web Editor of CCPN Global (www.ccpn-global.org - a global academic society for advancing the study of China and the Chinese from a comparative perspective, the only bilingual site for social scientific studies on China in the English-speaking world). 2013 - Web Editor of JCCP (www.journal.ccpn-global.org - Journal of China in Comparative Perspective, the only peer-reviewed, open access, bilingual journal on social scientific studies of China in the world). 2013 - Web Editor of Global China Unit (www.globalchinaunit.org - a knowledge-based think tank for social consultancy. It aims to bring resources from China and the Chinese and comparative studies for participating in shaping a global society). 2006 - 2013 Web Editor of the China in Comparative Perspective Network Website at LSE (the website was built from 2006 and launched in 2008 in both English and Chinese editions. Xiangqun Chang created and edited the entire website, although some pages are contributed by CCPN team members).